Our guests have the opportunity to enjoy a game and also taste soft drinks and special cocktails from the bartenders of the bowling bar. 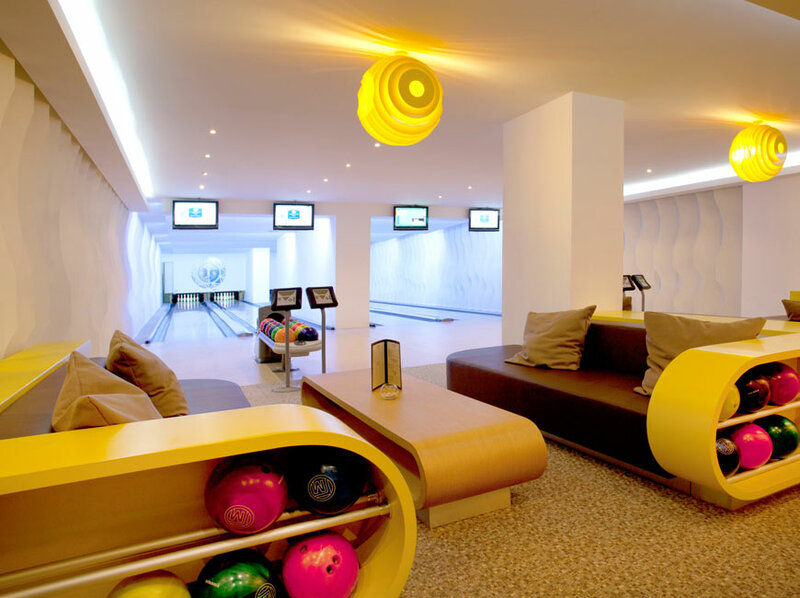 Hotel Gudauri Marco Polo offers to its guests a world-leading brand, Brunswick’s four-lane bowling, which gives to fans of this sport an unforgettable pleasure. Have no one to leave your kid with while conquering mountain peaks? We have you covered. 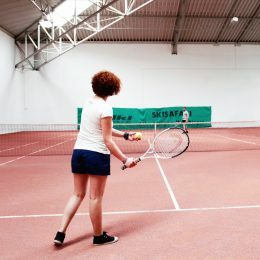 "Gudauri Marco Polo" has two equipped courts for playing tennis. The area of covered tennis courts has a separate ventilation system and a special primer floor. 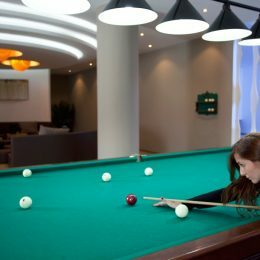 In the billiard area, there are four tables for American billiards (pool) and one table for Russian billiards. There is also a table to play ping-pong. You want to get relaxed after skiing? 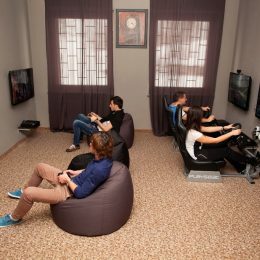 Have fun with your friends or family? 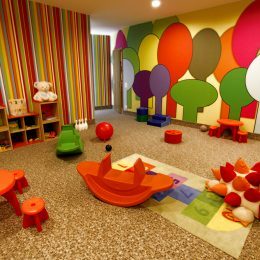 Visit the entertainment room to play video, board and table games.